Home Science Communication	Where does science news come from? Where does science news come from? From cancer cures to space exploration, scientific research regularly makes the news. But what makes it news, exactly? Who decides which of the many research projects deserve mass attention? Where does science news come from? To be considered news, something has to have an aspect of recency. It’s relevant now, today, this week. For a lot of types of news, this is straightforward: Yesterday’s sports results are news, and so is last week’s earthquake, and next month’s election. But when it comes to covering research, it’s always an artificial and arbitrary decision to call something “news”. Research takes months or even years before it gets to a point where the researchers talk about it at a conference or publish a paper on the topic. That moment of making the research known (through an article or a conference talk) is the arbitrary time point that makes the research worthy of being written up as news. So the first thing to realise is that science news is often not “new” – it’s only newly published. So, publication of the original article (or a conference presentation) is a trigger for scientific research to become news, but it’s not enough. Thousands of academic articles are published each day, and most don’t make the news at all. Journalists have to pick and choose what to write about, and a number of factors affect that decision. First, the research has to have a certain hook that makes it interesting for journalists to write about. Maybe it’s about a potential cure for a disease that affects a lot of people, or it’s research that directly relates to current events. For example, if a volcano just erupted on an island, any new research about volcanoes or about that island are now more likely to be covered in the news. Or if it’s awareness month for a particular disease, any recent research related to that disease will receive more attention then than it would at any other time of the year. Even with a topical hook, a newly published discovery might not be newsworthy. One reason could be that there is other – non-science – news that is much more urgent and important and this now takes over the news. Your article about volcanoes instantly loses all relevance if a major earthquake killed hundreds of people in a large city. Volcanoes were, literally, yesterday’s news. It’s all about earthquakes now. And what if two research groups both published articles on the same topic in the same month, both showing an exciting new way to treat a common disease? Ideally, in a perfect world, journalists would notice the trend – two research groups independently showing the same thing – and include both in the story. To be fair, this does happen, but you’re more likely to find it in a feature article in a magazine than in the daily news cycle. In reality, the group that published the first of the two articles is much more likely to be featured in the rapid stream of daily science news. The publication of that first article becomes the trigger that flags it as something to report. Even though the topic of the second research article is just as interesting and timely, it’s no longer newsworthy if the first article was already covered. Keep in mind, though, that both of these groups of researchers were working on their project for months or years before their articles came out almost simultaneously. Perhaps they even collaborated. The only thing that sets the work apart is that one research article was published slightly sooner. So, any science that gets covered in the news is selected from a very large pool of ongoing scientific research. What makes this particular research worthy of media attention is the fact that they published a scientific article, before anyone else, and the topic happened to be relevant to the current media cycle, and was not dwarfed by a bigger news story. That’s a lot of factors to consider, but there are even more. How do journalists even find out about newly published science papers? One way is through press releases. If researchers think that the publication of their latest article should be featured in the news, they can contact their university’s press office to ask them to publish a press release. The press office then passes on the press release to newswires or directly to journalists. Alternatively, the editors of the journal that published the article can also decide that this particular article is worthy of attention, and they can release a press release on their behalf. In either case, the university or the journal work together with the researchers to put together a press release. Clearly, a lot of people are involved in the decision to even show the work to journalists in the first place! When a press release is sent out, it might come with an embargo: It will include the details of the scientific article that’s about to be published, but the paper isn’t yet available. The journalist is then asked to not release their coverage of the news until a certain time (usually the publication time of the scientific paper). That’s how they can be the first to cover the news. 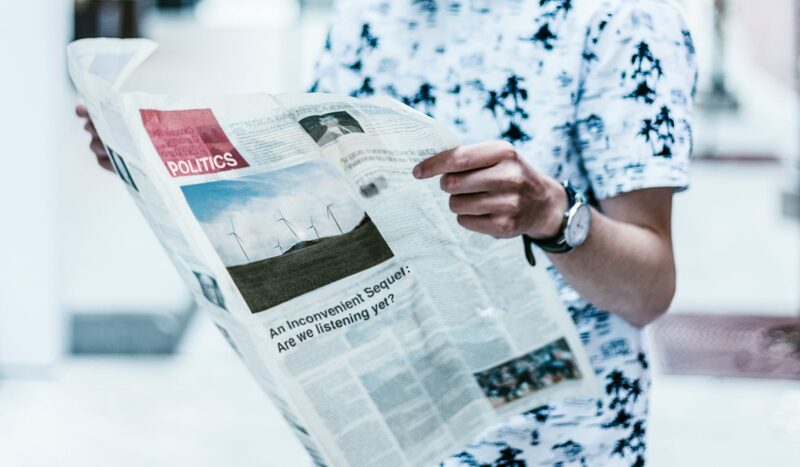 The presence of an embargo can make the press release more enticing to some media outlets, and as a result this would also make the research more likely to be covered in the news. Again, keep in mind that the “news” in this case is just the publication of a scientific paper detailing months or years worth of work, and that most published research doesn’t get a press release, and many press releases don’t get picked up by journalists at all. Considering that the initiative to write a press release comes from the people who did the work (the researchers, the university, the journal that published it), it’s always somewhat biased and self-promotional. Journalists can use it as a starting point for an article, but ideally they should include more of their own investigation. They often approach a scientist in a related field, who had nothing to do with the study, to ask them for a comment. That puts the work in perspective, and removes some of the bias. Journalists are supposed to be independent reporters of what’s happening, and should not be swayed by just one press release. At the very least, they should have access to the original article, but sadly this isn’t always the case. There are other ways, besides press releases, for journalists to find science news. One is to track their favourite journals and find out which new scientific articles they published. Another is to attend conferences and find out what’s new. Finally, they can focus on an area of specialty and make ongoing connections with scientists and journals in that field. This helps them get a much broader overview of what’s happening in science than they would get from just a press release. They could get ideas for feature articles that look more in-depth at issues in science – perhaps even following a research project over a period of time. These kind of features are much more representative of how the scientific process works than a snapshot of just one newly-published scientific paper. They can include a summary of many different research groups. They also often work on a much longer time scale, so they can be more likely to allow the scientists they interviewed to double-check that they were accurately quoted. I had so much more to say. There are subtleties and side notes to everything I’ve described – I haven’t even mentioned bias on the part of news outlets, or the difference between staff and freelance journalists, or media appearances by scientists, or the problems journalists can have when trying to access science papers – but this should give you some idea of the various factors that decide which of the many exciting research projects receive media attention. It doesn’t mean that this research was the best and it doesn’t even always imply that it was the most interesting. It just happened to be one of the currently newsworthy research projects that were recently published and promoted by the people who worked on it.